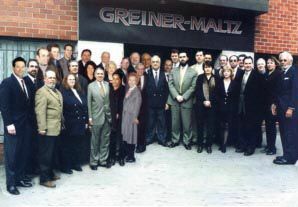 Greiner-Maltz was founded by William Greiner and Richard Maltz in August of 1953, and has been engaged exclusively in the leasing, selling, appraising and managing of industrial, commercial, and retail property in the New York - New Jersey metropolitan area. The Greiner-Maltz Team brings unparalleled strengths to the industrial, commercial, and retail real estate markets of Manhattan, Brooklyn, Queens, Long Island and New Jersey. The professionals at Greiner-Maltz have over 400 years of combined experience in leasing, sales, marketing, appraisal and management of industrial and commercial properties.